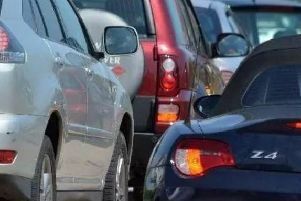 A single vehicle crash is causing delays on the A1 near Peterborough this morning, Thursday June 1. The collision has taken place on the southbound carriageway near Sibson Inn. Police were called at 9.45am to the collision involving a Vauxhall Astra. It is on the verge but is partially blocking lane one and causing delays. Nobody has been injured in the crash and recovery is on scene, but traffic is queuing.